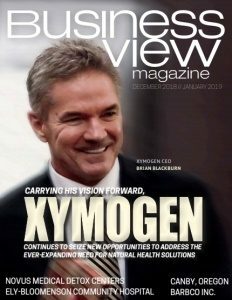 Business View Magazine interviews Sean Smith, Director of Economic Development and Marketing at Rancho Mirage, CA – best practices of U.S. cities. Rancho Mirage, population 18,000, is best known as a resort community in the Palm Springs valley, 134 miles east of Los Angeles. The Los Angeles/San Diego corridor is the drive market for its tourist industry, for those not flying in. Boasting an outdoor resort lifestyle — golf, tennis, dining, horse communities – Rancho Mirage is blessed with many unique properties of mid-20th-century modern architecture, and interior and landscape design. Though not a boom area, but rather one with consistent, slow, and steady growth, Rancho Mirage is trending younger, with many seeking a nicer quality of life. Desert X, a site-specific contemporary art exhibition, and the Coachella and Stagecoach Music Festivals are among the cultural activities gaining traction for the community. Also of note is Sunnylands Center and Gardens, a 200-acre estate currently run by The Annenberg Foundation Trust, where President Obama met with President Xi for a US-China summit in 2013. “We’re extremely well-managed from a financial standpoint. We’ve got our challenges in California, such as loss of redevelopment agencies, the Great Recession, the increase in costs to public safety, the increase in public pensions. In spite of that, we’ve been able to accumulate, a reserve surplus of about $68 million. That’s for a city with a population of about 18,000 on only 25 square miles. Those reserves have been put into different funds to address the future challenges and needs of the City, including emergencies. But we’ve also been able to accomplish some unique things that enhance the quality of life for our residents which is really our first and foremost responsibility. 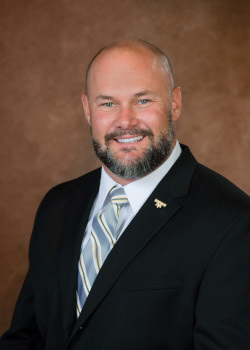 “Our Council is very much in tune with our community. Every decision they make is done so with the best interests or our residents in mind. Most cities would say that, but what makes us unique, and what we’ve been able to do, for example, is build one of the best municipal libraries that you will find. We serve the entire valley. Our library provides programming that is on par with the best institutions and it’s all free to the public — lifelong learning for free. And we offer that to everyone, whether they are Rancho Mirage residents or not. 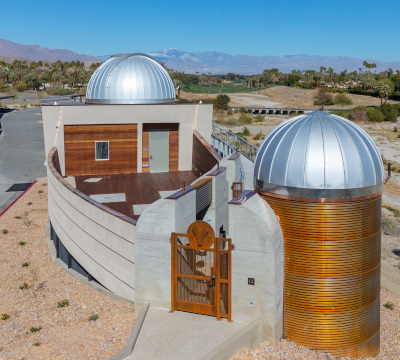 “We recently added an observatory to our offerings. I believe we may be one of the first in the nation to have a municipal library and observatory campus, all publicly-owned and operated. It’s a research-level observatory that operates in line with that free lifelong-learning mission. For instance, we were able to get a grant to bring every fifth-grade student in the valley to come to the observatory and learn about space and exploration of our universe and the things that our observatory is capable of. We hired a full-time astronomer, which I think is unique for a city. We do free star-gazing events and free daily tours. I anticipate we’ll be putting together astronomy-focused festivals here in the near future, and bring in more interested groups. “Another thing that we built several years ago is a completely modern state-of-the-art outdoor amphitheater, which is just a little down the road from the library/observatory campus. We’ve provided a significant amount of free programming there as well. We’ve done an annual music-in-the-park series for four years now, with some fairly notable bands. We ended last year’s series with Blue Oyster Cult, for instance. We have a cinema-under-the-stars program that we do in the spring, a wine and food festival, an art fair. Soon to come, for the first time in our region, are outdoor Broadway-style productions. “We have some green initiatives that make Rancho Mirage standout. 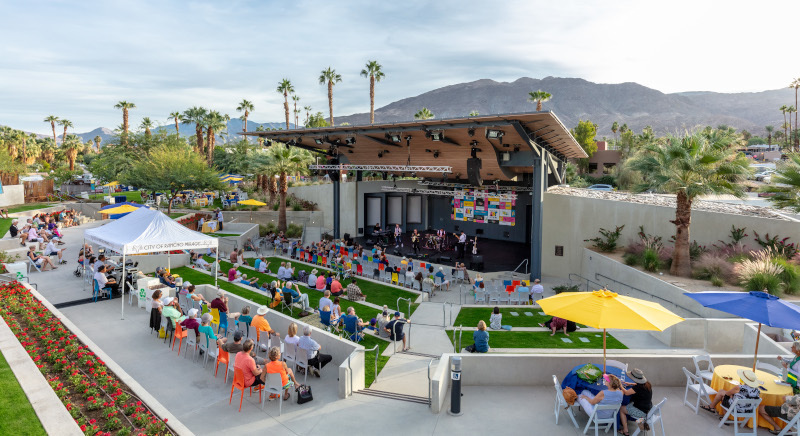 Rancho Mirage established its own Community Choice Aggregate Program, where we can offer completely green energy to our residents and our businesses at a reduced rate, all at a savings that they could not get through Southern California Edison. All of our buildings are on solar energy and we have a solar rebate program. “A recent acquisition of nearly one square mile in the middle of our City is being considered for a large-scale development inclusive of a recreational lagoon feature – similar to the lagoon project at the Wynn Hotel in Las Vegas. This could be a venue for kayaking, paddle-boarding, swimming, etc., surrounded by resorts and ancillary commercial and residential development, along with a trail system. 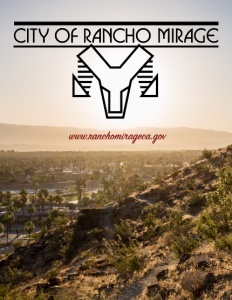 “Rancho Mirage adopted a five-year, Master IT plan that we’re about halfway through. It includes paperless invoicing and permitting, to make it easier for our residents and people doing business in our city. We’re focused on data security, significant GIS applications for internal and external use, so the public can easily find anything about their property they want to that’s offered from a public standpoint; if they’re in a floodplain area, or school district – all sorts of information. “We’re creating a city app for the first time that will allow us to communicate with our residents and offer more efficient ways of learning about what’s going on in our city and accessing resources and data. We’re completely redesigning our website to be integrated cohesively with the app so it will have the same look and feel with enhanced functionality. Clearly, Rancho Mirage is a special community, and one that promises the seasoned traveler, as well as its residents, the perfect combination of luxury, value, and access to some of North America’s finest golf, spa, cultural, educational, and dining experiences right in the Heart of the Palm Springs Valley. Check out this handpicked feature on Montrose, CO – Focused on outdoor recreation.